Since I started blogging when little brother was so close to being a tot I do not have tons of baby play posts. Although, many of my early toddler activities are baby friendly too. Once baby brother arrived I told myself I would now add baby play posts. Well, I think I have 2 published. 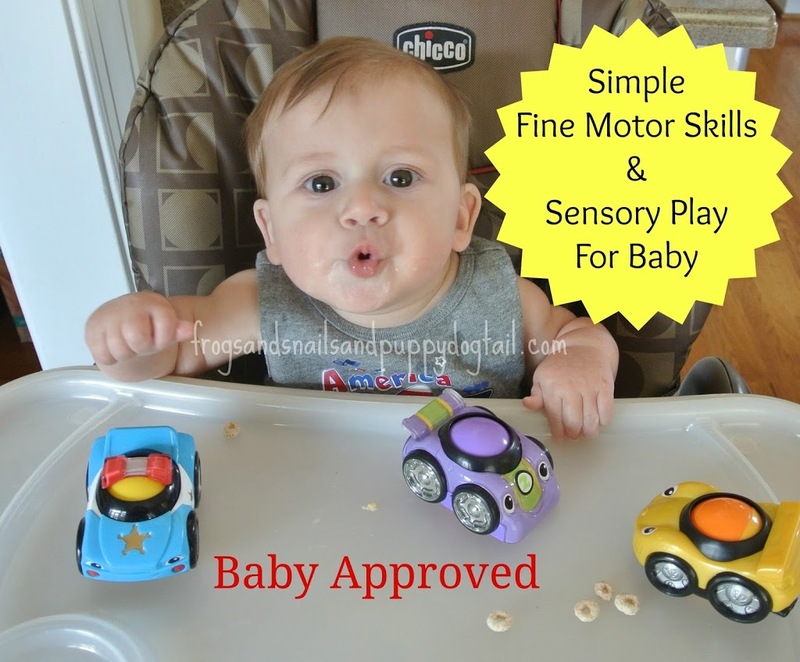 So what better time than now to share a new simple baby play post with all of you. Baby brother is now 9 months so I better hurry and get in a few baby posts while I can. This is so simple yet perfect for those little ones in our life. 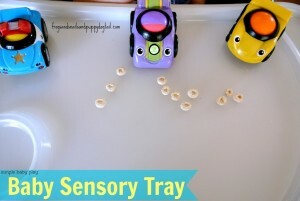 What better than to turn the trays on the highchair into sensory trays. Lots of fun can be had in one place. Baby brother approves of this simple play idea. 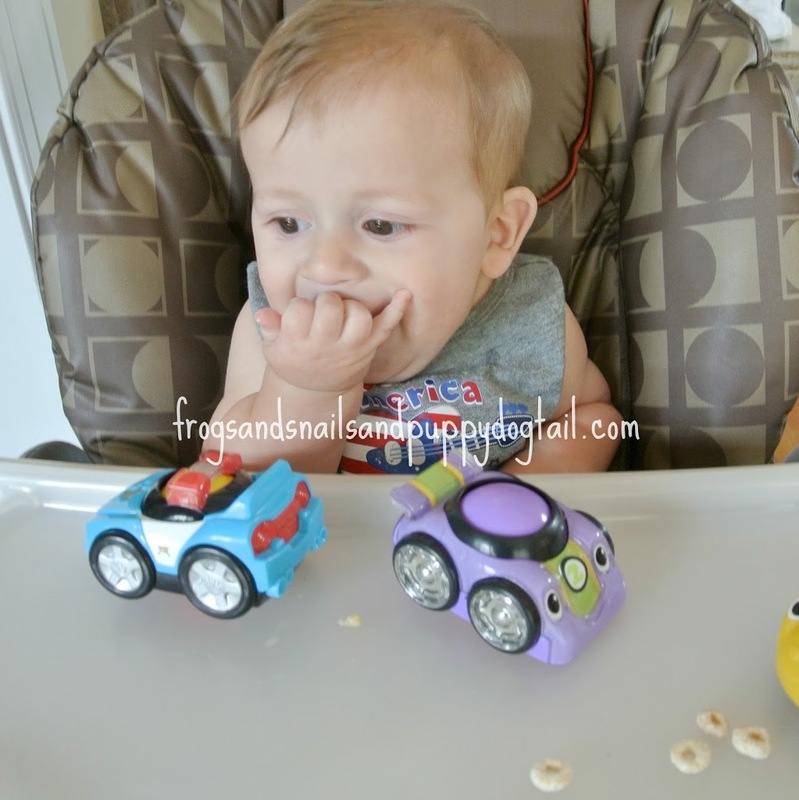 Our set up: cereal and cars. Yep that’s it. 2 ingredient play. Once set up I just let him have fun exploring the cars. He pushed them around on the tray and tasted one or two. 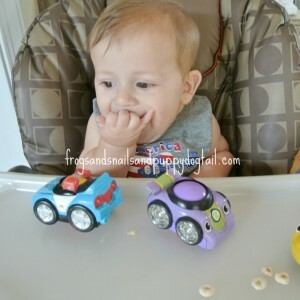 He was able to start working on fine motor skills by picking up the cereal off the tray to taste it too. This is also great to promote self feeding. I think his favorite part was the cereal, lol. Who said playtime had to be complicated. I often find that simple is best. 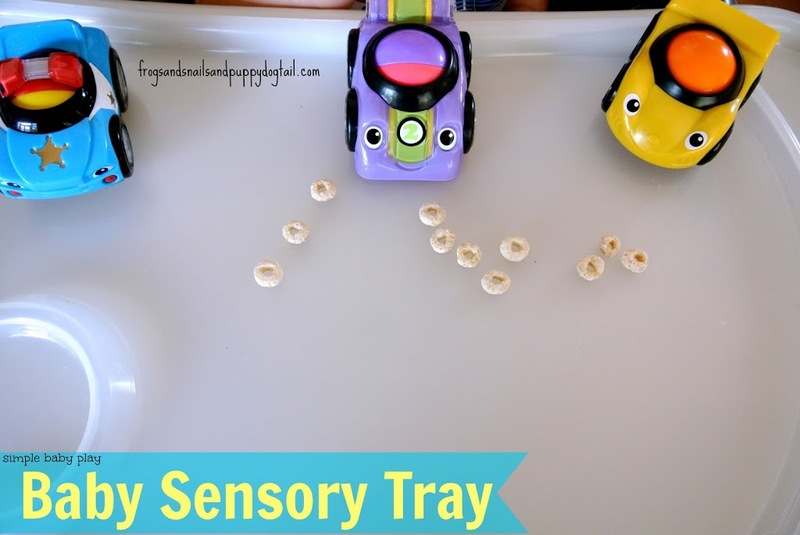 This simple baby sensory tray was a big hit with my littlest guy and even both big brothers had to go over and check it out. 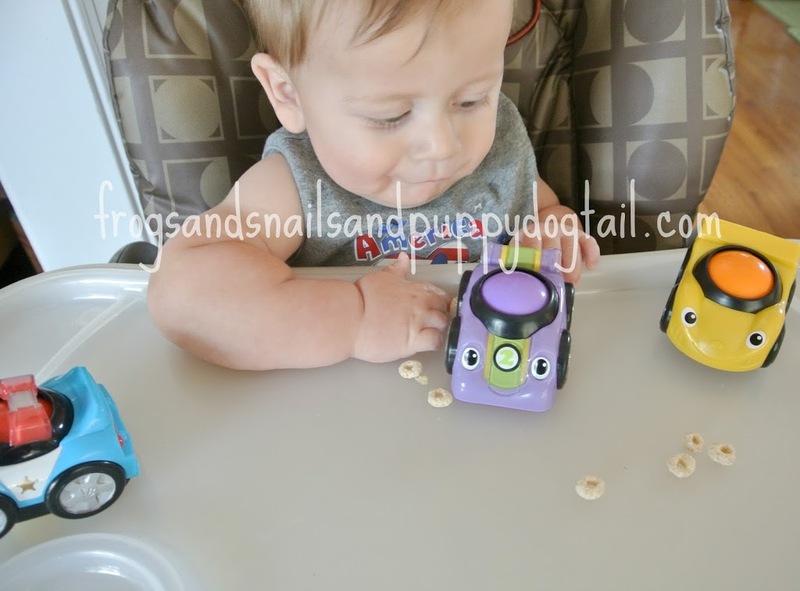 A fun way to introduce sensory play to babies and work on fine motor skills too.